There are many ways to make a large room feel cozy. You can separate the room into sections. 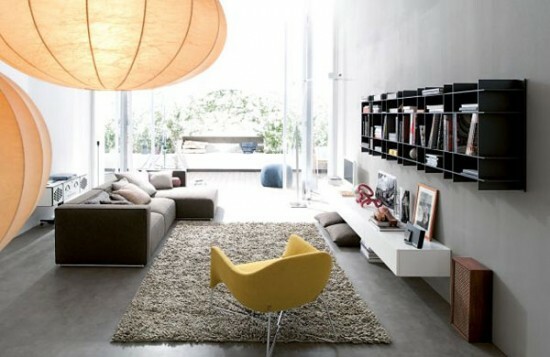 For example, create a reading nook with an oversized chair and colorful floor lamp. Or set up a “cozy corner” with a small table for your morning coffee which transitions into a game table for an evening with friends. Maybe you would like to keep an eye on your kids while still getting your own work done; try a dual work/art space by setting up your desk and a small craft table nearby for the kids. To minimize any potential clutter of toys, get an inexpensive storage cart with wheels that holds all the crafts, and can be tucked under the table. 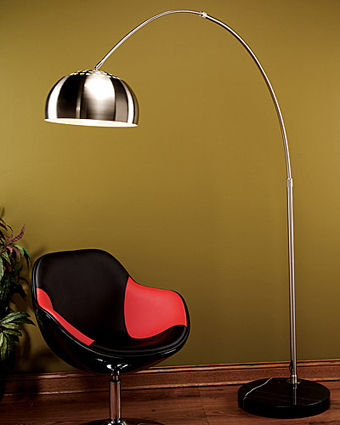 Darker wall colors tend to absorb light, and can therefore tighten the dimensions of the room, making it feel cozier. Also, you can visually lower high ceilings by painting them. Empty walls will make a room feel more open, and larger. 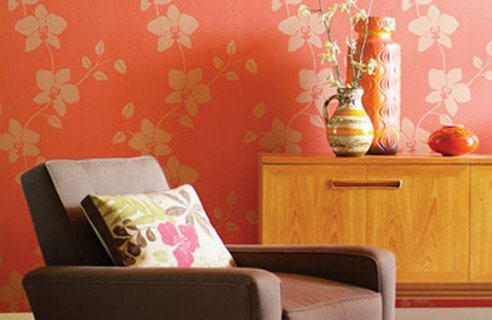 To make the space cozy, add large-scale wall art, like colorful wallpaper, a tapestry or a sizable painting. 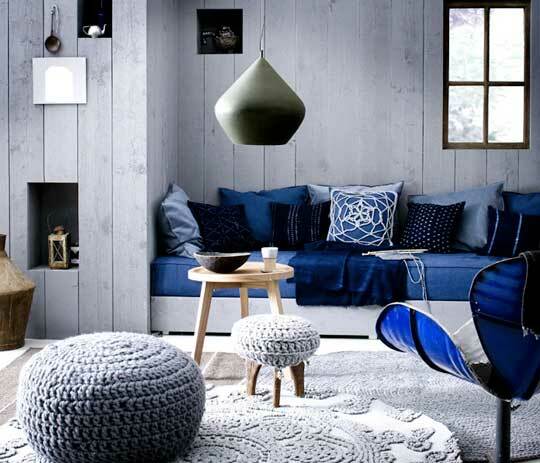 Accessorize the room with larger objects, like plants or shelves, to make it feel cozy. 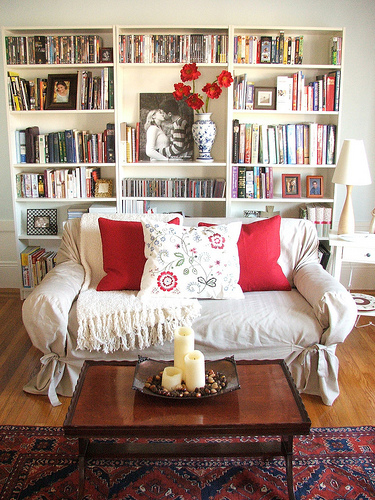 You can decorate the shelves with your favorite books, large framed photographs, and collectibles like vases or other larger items. Avoid decorating with many small knick-knacks, which will only serve to clutter the room, and emphasize the room’s great size. Area rugs soften the room, especially if you choose a plusher material, and they can add a relaxing focal point to a collection of furniture. 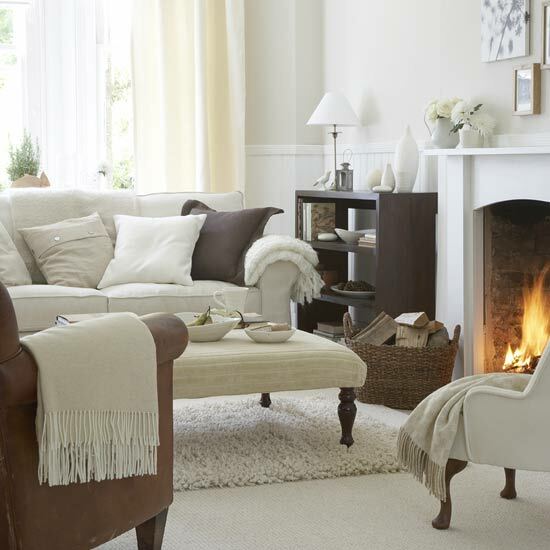 Add some comfy throws and pillows to your sofa and chairs for a cozier feel. 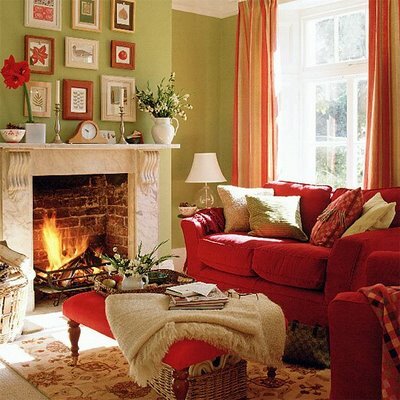 If you have a fireplace, place the furniture around it so you have a warm place to relax. Lighting plays a big part in making a room feel cozy. Flourescent and halogen lights are harsh (think office or hospital), so choose incandescent lights which are warmer and softer. Candles placed throughout the room create a romantic or calming ambience; depending on the time of day and the occasion, try lighting your favorite scented candle. 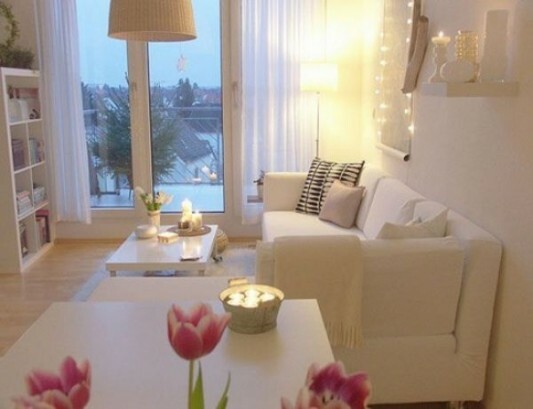 No matter what, you can take any space and make it feel more cozy.